The Autism Cares Foundation (ACF) was founded by the parents of a child with autism and other concerned parents, professionals and friends. The foundation was started as a means of helping others through the “puzzle” that is autism. At virtually every level, there are “twists and turns” in one’s attempt to reach the answers that many parents are seeking. As the founders discovered with their own child, answers are few, frustrations are many, and there are few places to turn to for answers. It is the intention of the Autism Cares Foundation to assist in “unwinding” the twists and turns associated with navigating the system surrounding autism. 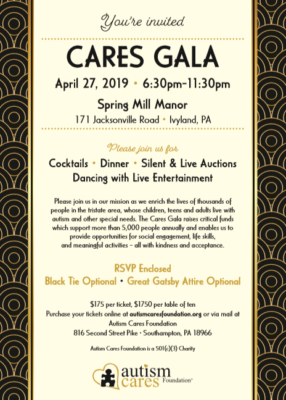 The Autism Cares Foundation differentiates itself from other organizations raising funds for autism, as our funds provide direct benefit to the children and young adults afflicted with autism, helping to improve their life experiences today. Thank you to everyone who has participated in our many events!! 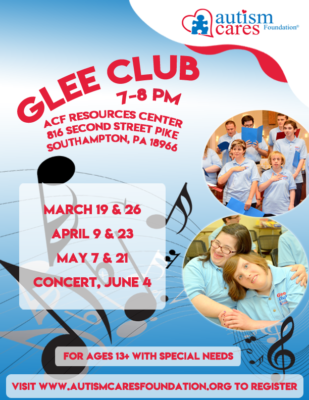 Your support enables us to continue to offer the valuable life enrichment opportunities and programs that we provide to those on the autism spectrum free of charge. Your generosity is essential for us to continue this benefit, as the cost for caring for a loved one having autism can be substantial, and we never want cost to be an obstacle when a family is deciding whether to participate in a program that could benefit their loved one with autism.. 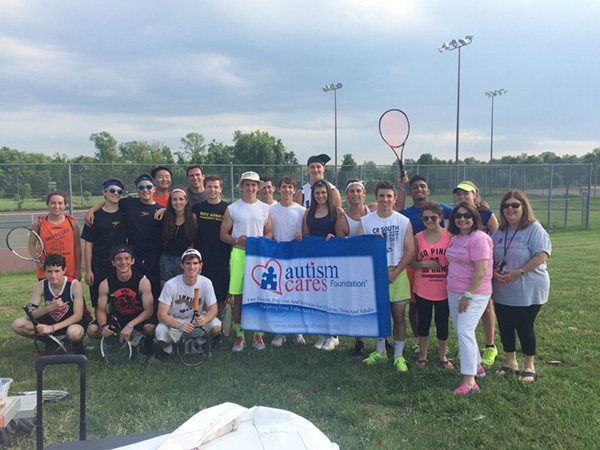 Since its inception, Autism Cares Foundation has focused on providing life enriching opportunities that enable families to participate together in various activities. We have developed a series of events, activities and programs spanning various age groups in an attempt to bring some type of typicality to what can be a challenging and somewhat unpredictable household situation. This year, through your support, we will have delivered 200 such outings, spanning a wide range of interests and needs. These opportunities have become viewed as essential opportunities within the autism community and we are grateful that we are able to fulfill this need. Yet, there is an even greater need. As today’s children grow older and turn in adults, the need for adult life skill and vocational training services becomes more pronounced. And as parents and care-takers age, the need for respite services, permanent care and permanent residency become critical. Autism Cares Foundation future plans call for developing our Autism Center of Excellence and Life Enrichment Community. There is a tremendous need for a facility such as this as waiting lists at existing facilities extend for many years, with no guarantee of future placement. The Autism population in growing exponentially each year and presently there is no master plan for accommodating this expansive population. At Autism Cares Foundation, we have been diligently working to address this issue and have met with Congressional and State leadership to solicit their input and support as well. We are well into the process of developing our strategic plan to determine how and where the Autism Center of Excellence will be developed. The issue of permanent care for this population group is no small task and will require the support of government, business, friends, family members and everyone else who is touched by this cause or who has a loved one on the autism spectrum. While the task is daunting, the need is even greater. We encourage your support and your assistance in turning this much needed facility, the Autism Center of Excellence, from a vision to reality. No one can do this alone, every bit of support is essential, and we need to move swiftly. The Autism Tsunami is already upon us, the action that we take in addressing this epidemic will define us and you are a key piece in this massive puzzle. Together we can rally behind our plan and build the dream of a lifetime that will last for a lifetime and beyond for those needing his facility and our help. And any other support that you think may bring us closer to our goals. The difference is the difference you choose to make. Marlene de la Cruz is global president of Adelphi Research, an Omnicom Group pharmaceutical marketing research firm based in Doylestown, PA and Manchester, UK. Marlene has over 25 years of marketing management and sales experience in the pharmaceutical and financial services industries. Marlene obtained her B.A. in Spanish and International Studies and an MBA in Marketing and Finance from LaSalle University. Marlene was a member of the Bucks County Autism Support Coalition Board for three years and co-chaired the BCASC’s annual conference. She lives in Holland, PA with her two wonderful children, Amanda and Alex, and husband of 28 years, Lee. Her motivation for her autism advocacy work is her 17 year old son, Alex, and ensuring that he has the opportunities we all deserve. Marlene also serves on the Delaware Valley University Board of Trustees. Linda Kuepper is co-founder and CEO of the Board of Directors of Autism Cares Foundation. In this role, she facilitates bringing issues to the Board of Directors for resolution on a wide range of issues. She is one of the people tasked with charting the future growth and vision for Autism Cares Foundation, a role that she is well suited for. Linda is also the mother of a child with autism giving her unique insights into the needs of people with autism and the issues and challenges they face such as education, life skills development, job skills needs, respite needs and permanent residency especially after today’s care providers are no longer able to do so. Prior to Autism Cares Foundation, Linda served as an administrative assistant to various CEO’s of a fortune 500 company. Frank Kuepper is co-founder and President of the Board of Directors of Autism Cares Foundation. In this capacity Frank is charged with many aspects of daily operations and the strategic planning initiatives of the foundation. Frank began the Foundation as a means of providing life enriching activities and opportunities for those on the autism spectrum. Being the father of a child with autism, he understands the wants and needs that parents have for their loved one with autism and is dedicated to providing additional opportunities and choices to those on the spectrum. Frank is the Director Indirect Procurement for Brightview. Prior to joining Brightview, Frank held various positions at David’s Bridal and Kay-Bee Toys including Director of Procurement, Purchasing Director, Director of Store Operations, and Director of Human Resource Development. Christine Paul serves on the Board of Directors and is the Vice President & Treasurer for Autism Cares Foundation. Christine is the former President and Chief Executive Office of Petroleum Recycling Corporation providing alternative fuel to industrial users. The operating plant is headquartered in Philadelphia, PA., and is certified as a Disadvantaged Woman Owned Business Enterprise (DWBE) in Pennsylvania and New Jersey. Christine has been in the Oil Recycling industry for over 30 years and works with federal and multi-state environmental agencies on permitting for the collection, transporting, processing and distribution of On-Spec Used Oil Fuel. She is the former owner/operator and was responsible for acquiring environmental and liability insurances, equipment financing and overseeing all aspects of daily operations of the business. Christine’s operations have provided environmental services under a contract with the US Coast Guard for twelve consecutive years and has worked with major corporations such as Sunoco Logistics on the environmental impact of plant closures. Steve Rusinko serves on the Board of Directors of Autism Cares Foundation and is the Chief Financial Officer of Cancer Treatment Centers of America at Eastern Regional Medical Center in Philadelphia. He joined the hospital in 2007 and oversees several departments including finance, patient financial advocacy, first connections, health information management, cancer registry, physician coding, materials management, construction and plant operations. 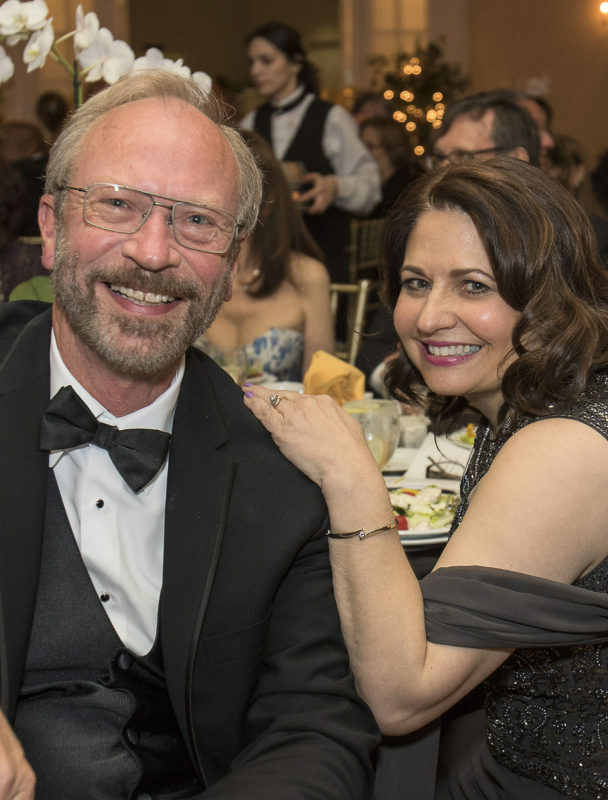 Steve’s major accomplishments at CTCA include developing the Patient Financial Advocacy program which assists patients in overcoming financial and insurance barriers to treatment options. With over 30 years in healthcare financial management, Steve held financial positions at other healthcare institutions, most recently as a Regional Financial Manager at Universal Health Services, Inc. and Chief Financial Officer at local hospitals. He is a member of several professional organizations and also serves on the board of directors for Community Education Centers. Steve received his BS degree in finance from Spring Garden College in Philadelphia and his MBA in Healthcare Management from Eastern University in St. David’s, Pennsylvania. 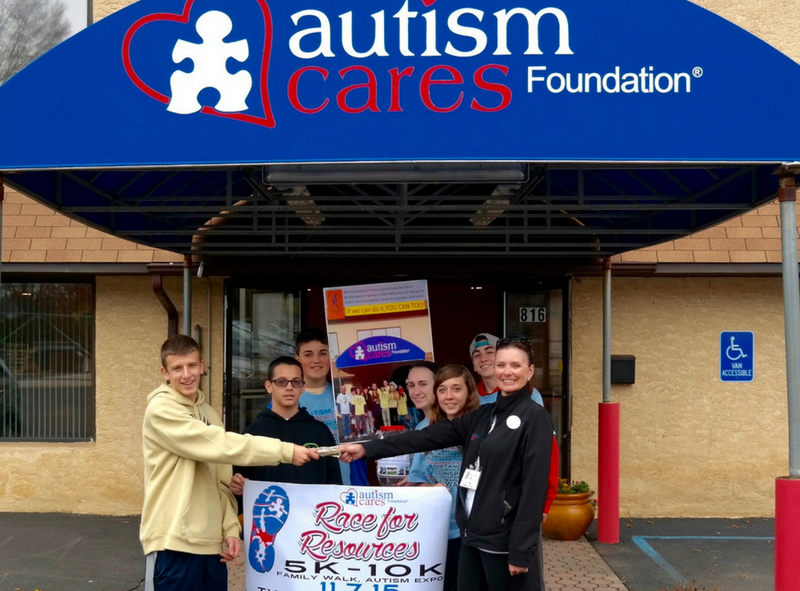 Jacqui M. Makowski is the Managing Director for Autism Cares Foundation. In her role, Jacqui is responsible for continuing the growth of the foundation’s activities, and for developing the strategic imperatives to achieve our present and future plans. Jacqui brings more than 25 years of experience and skill in social services and education, holding a Bachelor of Arts in English/Communications from Cabrini University. Her experience includes more than 25 years in fundraising, public relations, and organizational operations. Jacqui and her husband Tom have a son Ryan, who is on the autism spectrum. They believe strongly in providing opportunities for interaction and socialization for their son, as well as all children on the spectrum. Jacqui and Tom enjoy learning from other parents in the community who share their journey. Paulette Chobot is the CEO of our Adult Services Division. Paulette is a mission-driven leader with extensive experience in successfully directing the operations of non-profit organizations with a focus on improving the well being of each client. She has spent her entire career in the non-profit sector working within various behavioral health settings serving children, adolescents and families at risk in Pennsylvania, New Jersey and New York. Paulette’s proven history of program management, program growth, and partnership creation is an asset, as ACF’s Adult Services Division anticipates continued evolution in order to meet the increasing needs of the growing special needs population. She holds the following degrees: M.S., Counseling & Human Relations Villanova University; M.A., Lasallian Leadership, St. Mary’s University; and B.S., Therapeutic Recreation, Temple University. Paulette also holds a Pennsylvania license in Professional Counseling and a certificate in the Trauma Informed Care, Bryn Mawr College.